Bring em out! Bring em out! The #Isles and #Caps are warming up at @Nassau_Coliseum ! #Isles starters presented by @PolarGlobal : Kulemin-Tavares-Okposo; de Haan-Hamonic; Halak. RT for a chance to win two tix to the #PolarZone ! Here we go!!! The puck has dropped at the Coliseum and we are underway between the #Isles and #Caps ! #ISLES GOAL! 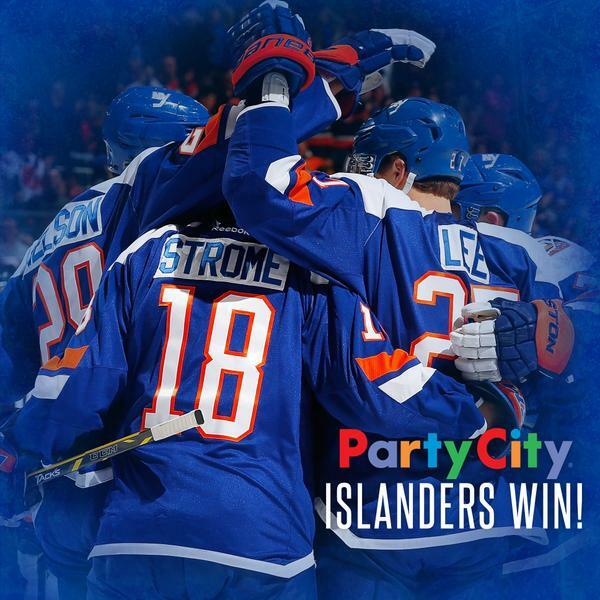 @leeberr09 puts it home after @strome18 finds him in front of the net! It's 1-0 Islanders 5:11 in! #Isles still lead the #Caps 2-1 and hold a 20-12 shots advantage midway through a quickly moving 2nd period at the Coliseum. Following a post-whistle scrum in the #Isles ' crease, Travis Hamonic and Alex Ovechkin trade roughing penalties with 9:17 left in the 2nd. #Caps will go to the power play as Anders Lee picks up an extra two minutes for roughing. #Caps goal. Alex Ovechkin scores his second of the game on the power play to even it up at two. We are underway in the 3rd period in a 2-2 game between the #Isles and #Caps ! #Isles to the @newyorklottery power play as Nicklas Backstrom is guilty of holding 5:53 into the 3rd period. END OF 3RD PERIOD: #Isles 2, #Caps 2 - For the third time in four games, we are headed overtime. Free hockey, once again. Here we go...#Isles head to the @newyorklottery power play with 2:22 remaining in OT. 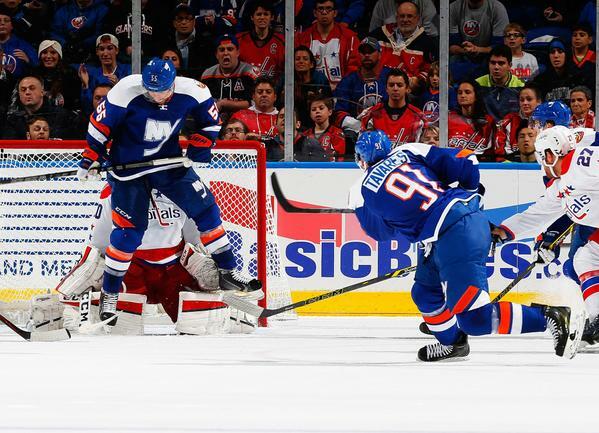 #Isles Goals from tonight's OT win! No morning skate for the #Isles today in Washington. Capuano to address the media at roughly 3 p.m.
Two 2-on-1's for the #Isles on the PK, as they finish off the two minutes and @BNelson exits the box. #Caps goal. Alexander Ovechkin gives Washington a 3-2 lead with 10:07 remaining in the 2nd. #Isles to the power play as Tom Wilson sits two minutes for roughing with 5:15 remaining in the 2nd period. 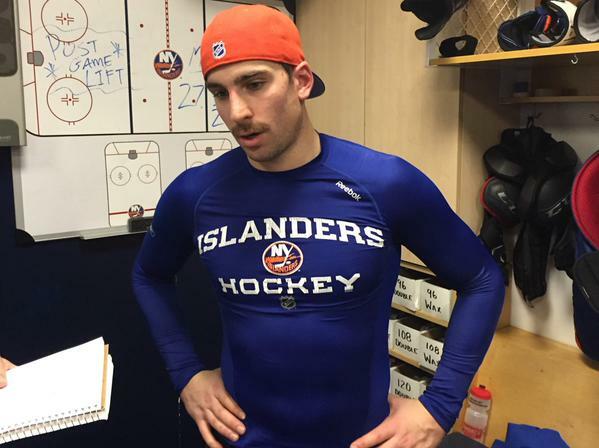 #Isles can't convert on the power play as Wilson exits the box. The puck has dropped on the 3rd period in Washington between the #Isles and #Caps . #Caps goal. Evgeny Kuznetsov scores to extend Washington's lead to 4-2.